On Gdańsk Bay, Gdynia is a port city that sprouted in the interwar years of the 20th century. With white sandy beaches and coastal forest it quickly became a holiday resort, but was also Poland’s embarkation point for emigrants to America. 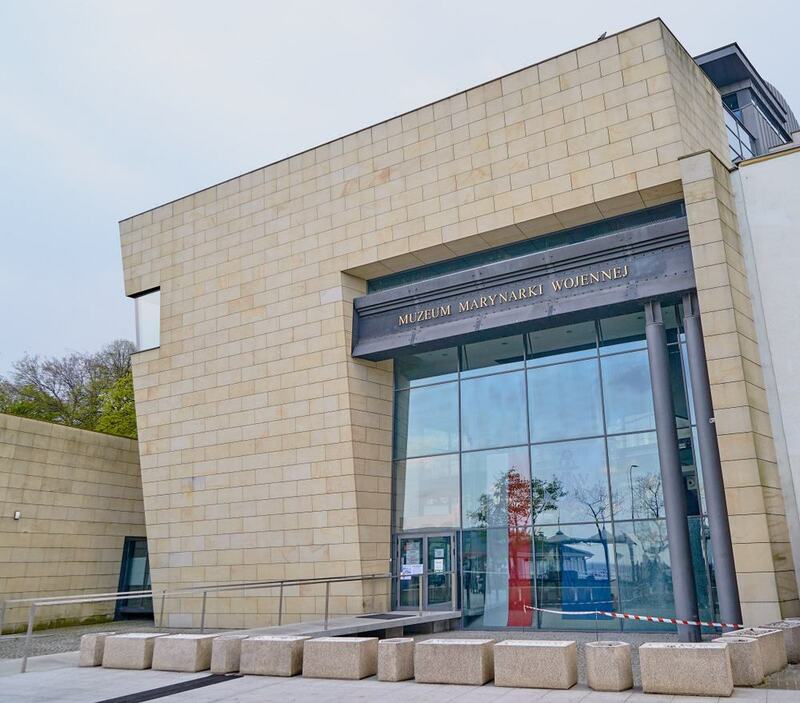 A new museum on this delicate topic and the Polish diaspora opened in 2015, and is joined by a few other attractions with maritime themes, like one of Poland’s top aquariums and a naval museum. 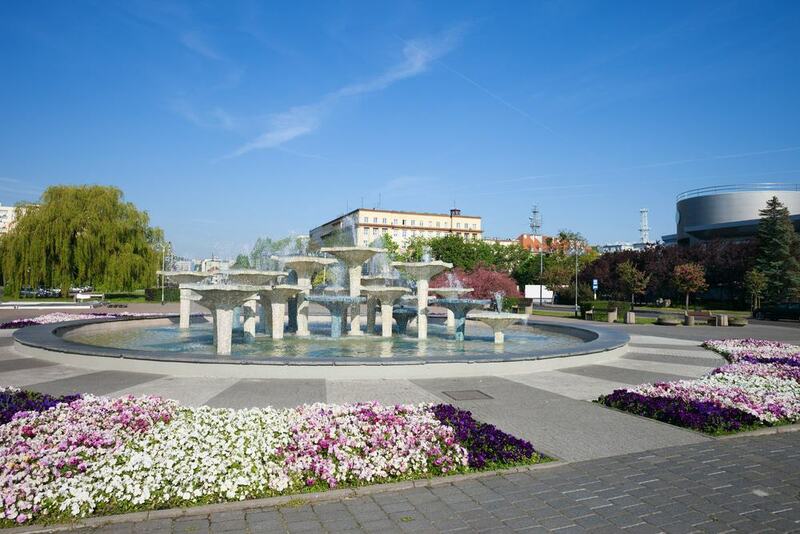 Having been built in the 1920s and 30s, Gdynia is endowed with more than its fair share of Modernist and early Functionalist architecture, and its apartment blocks, city amenities and museums bring a certain style to the city. 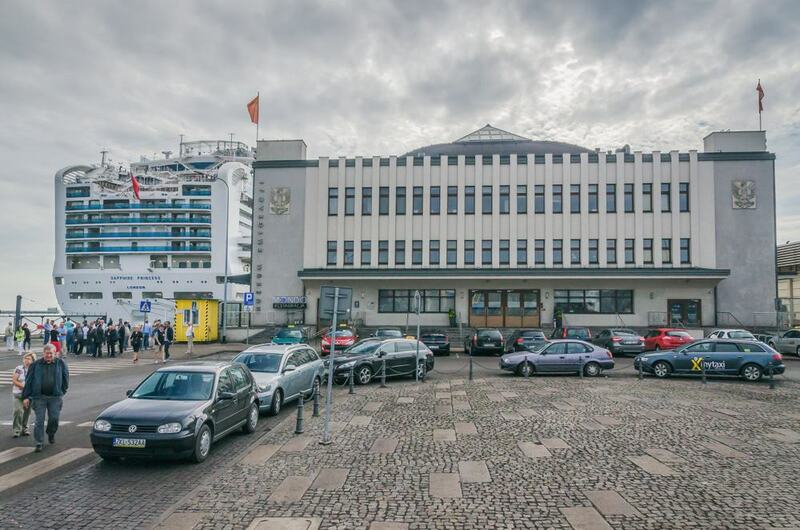 In the interwar period this Modernist maritime terminal at Nabrzeże Francuskie (French Quay) was the point of departure for thousands of poles permanently leaving their homeland. So at the beginning of the 2010s it was the obvious choice for a swish new museum about the phenomenon of emigration, opening to the public in 2015. The Emigration Museum has gathered lots of archive footage and photography, as well as sound recordings, firsthand testimony and personal items to paint a clear picture of why and how people departed for destinations like Brazil, Australia and the USA. “Lightning” in English, this “Grom-class” destroyer is the oldest preserved ship of its kind in the world, having been commissioned in November 1937. ORP Błyskawica was built by the J. Samuel White shipyard on the Isle of Wight, and to save it from destruction was manoeuvred out of the Baltic on the eve of the Second World War. After this it had a busy war, taking part in the evacuation at Dunkirk in 1940 and various battles in Europe and the North Atlantic. The ORP Błyskawica became a museum ship in the 1970s, with a visitor trail that takes you over the deck to inspect a cross section of a torpedo, anti-aircraft guns, depth charges and naval mines. Then you’ll go below, into the radio room, engine rooms and officers’ mess, with plaques explaining each area. 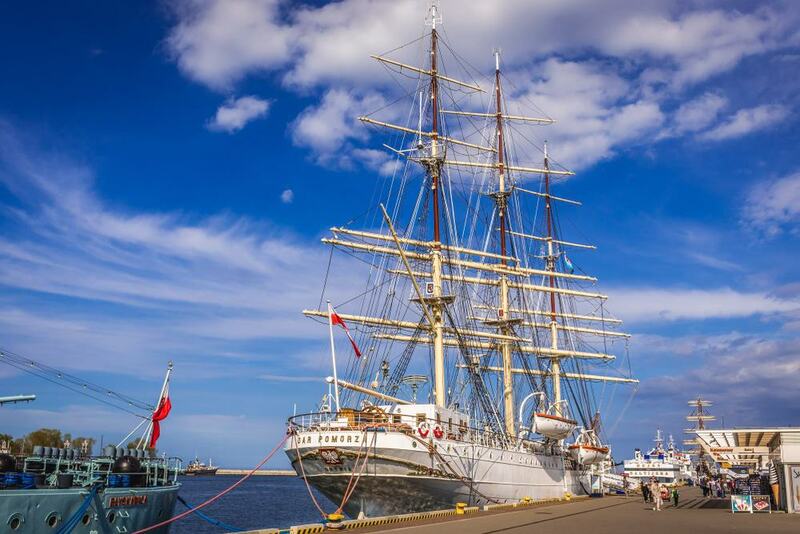 Maintained by the Polish National Maritime Museum, this fully-rigged sailing ship is on the waterfront next to ORP Błyskawica and has had a career that has taken it around Europe. Launched in Hamburg at the Blohm & Voss shipyard in 1909, she was sent to Great Britain in 1920 for war reparations. After that Dar Pomorzia (Gift of Pomerania) became a training ship in France and then for the Polish Naval Academy in Gdynia. In 1935 she was the first ship to sail around the world flying Polish colours. And in the 1970s she was entered into tall ship races before retiring as a museum ship in 1983. You can go aboard to see the ship’s inner workings and read about its story on information panels. Named for Tadeuz Kościuszko Poland’s national hero who led the 1794 uprising against Russia, Skwer Kościuszki is somewhere you’ll keep returning to in Gdynia. The city’s main square is more like a very broad promenade that leads onto the South Pier where the museum ships are docked. Overlooking the square are Modernist tenement houses from the 1930s, as well as the Polish Navy’s command building, which was only decommissioned in 2014. A very cosmopolitan array of restaurants is at your fingertips in the square, and the marina, cinema, theatre aquarium and main museums are moments on foot. 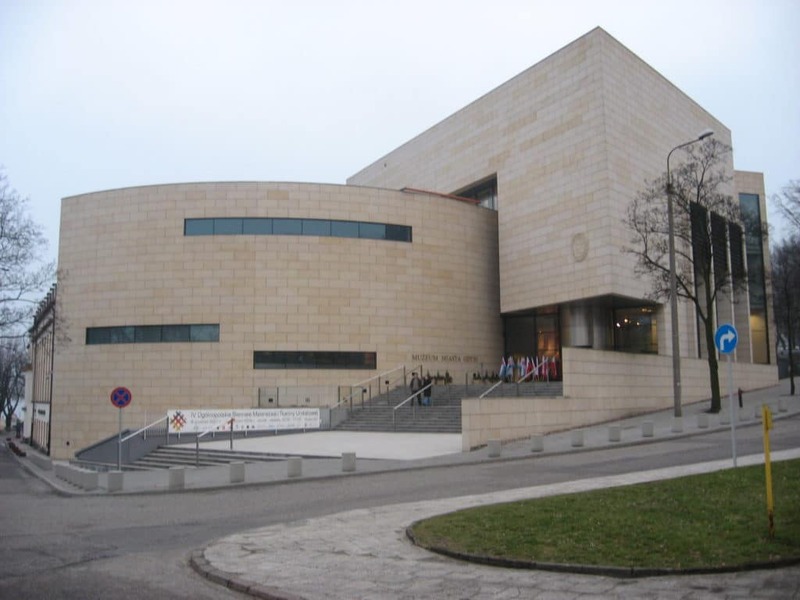 This institution looks after the ORP Błyskawica on the South Pier, but also has an indoor gallery at the building that it shares with the Gdynia City Museum. The most valuable exhibit of all is waiting on the left wall just inside the entrance. The Westerplatte Eagle is a bas relief of an eagle that used to adorn the entrance to the barracks at the Westerplatte Transit Depot. This was found in a heap of rubble after the Second World War, as Westerplatte was the first land target in the German Invasion of Poland on 1 September 1939. The museum’s collections have been assembled since 1953 and feature uniforms and equipment, indoor and outdoor weaponry, medals, models, paintings and photography, mostly from the Second World War. Just south of the marina and South Pier is the most upscale neighbourhood in Gdynia. An illustrious array of entrepreneurs and cultural figures have chosen this area for their villas over the last 80 years. One of the reasons is its elevation, 50 metres over the rest of the city on an abrupt clay hill composed of till (glacial sediment). From the observation terrace, crowned with a monumental cross, you can trace the outline of Gdańsk Bay, see the yacht harbour and all of Gdynia’s northern districts. 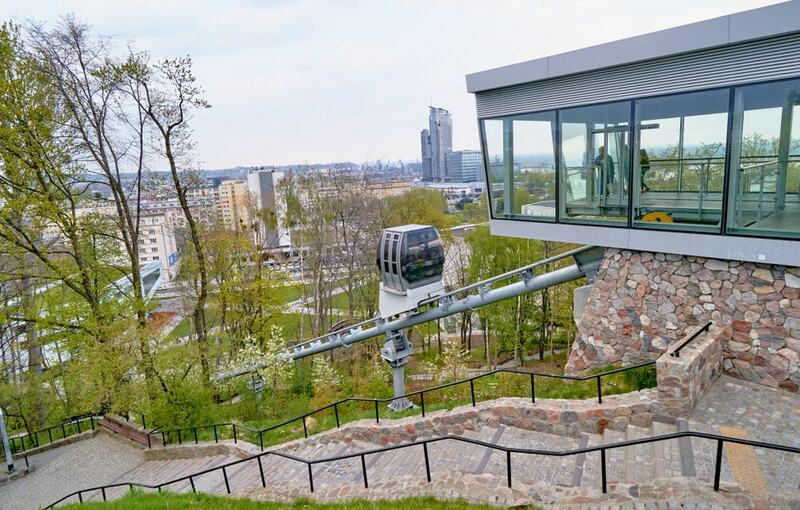 The free funicular shuttling up and down the slope at Kamienna Góra is another new addition to the city, making its first trip in July 2015. The lower station is at the newly revitalised Plac Grunwaldzki, and both this and the upper station were designed to chime with Gdynia’s Modernist architecture. The track is 115 metres long and there’s a single unmanned carriage that can take as many as 12 people up and down the slope between 10:00 and 22:00. The system is passenger operated, with buttons to call the train and start the journey. 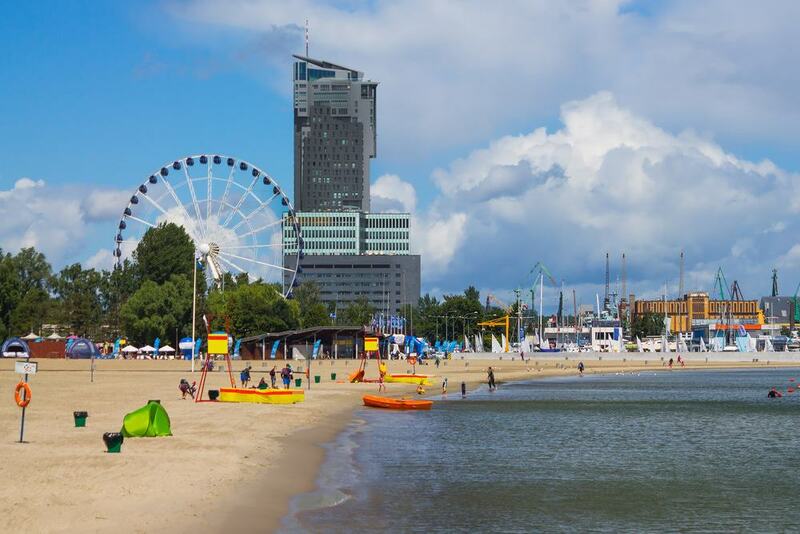 The main beach in Gdynia isn’t massive, but the location couldn’t be better, just down from the Marina and at the sitting below Kamienna Góra. The fine white sandy beach curls around the bay for about 300 metres and is everything you could need on sunny days. Although the water temperature is more than a little brisk, the beach is low-shelving and has ankle -high waves on calm days. The sand is also hemmed by a long promenade that winds off into the Kępa Redłowska natural park to the south. At its northern starting point are cafes and restaurants with outdoor tables giving way to a long grassy strip. Opened during the First World War, this pleasure pier serves the village and seaside resort of Orłowo a few short kilometres down the coast. 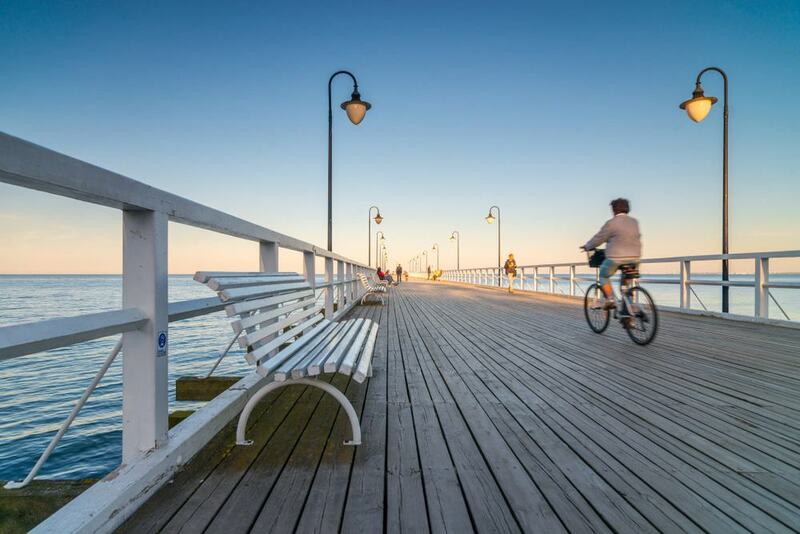 At one time, when Orłowo was competing with the neighbouring resort of Sopot, the pier was 430 metres long. But after being swept away in a storm in 1949 it is now at 180 metres. People love the pier today for the simple elegance of its whitewashed timbers and benches, and its views to the north of the Orłowski Cliffs. For early risers there’s no better place to watch the sunrise, and within a couple of minutes you’ll come across a few cafes and restaurants. Stepping into this private automotive museum, you can tell that the owner has put a lot of love into the attraction. There are 200 historic vehicles a hall with a vintage theme; even the floor is laid with Gdynia’s cobblestones from the 1920s. 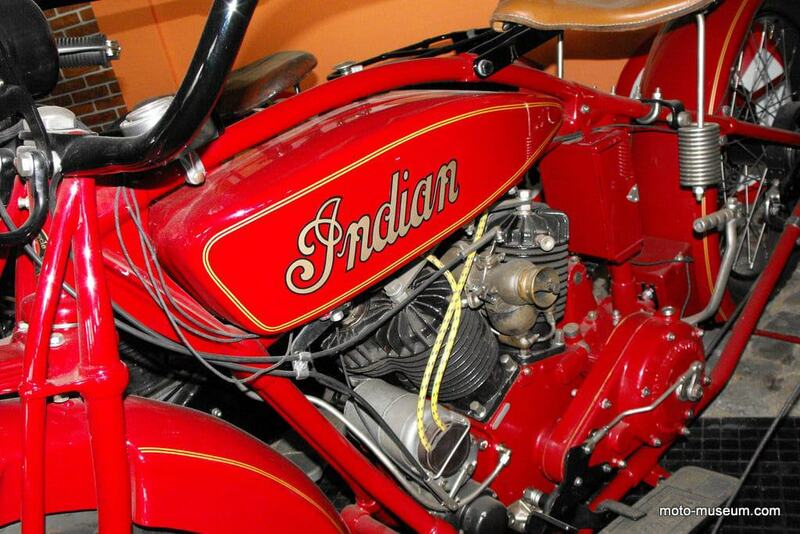 The exhibition has 50 cars, which are outnumbered by by a collection 150 motorcycles from the first half of the 20th century, made by Indian, Harley-Davidson, Zündapp, Royal Enfield, BMW and the Polish Sokół brand. Some special vehicles to seek out include the sleek WFM Osa moped, a Škoda Tudor, a Model T Ford and a Buick Master Six from the mid-1920s. This last car still has its original coat of paint, upholstery and holds American air in its tyres. Gdynia may be a new city, but its rapid development in the interwar period is well worth looking into. 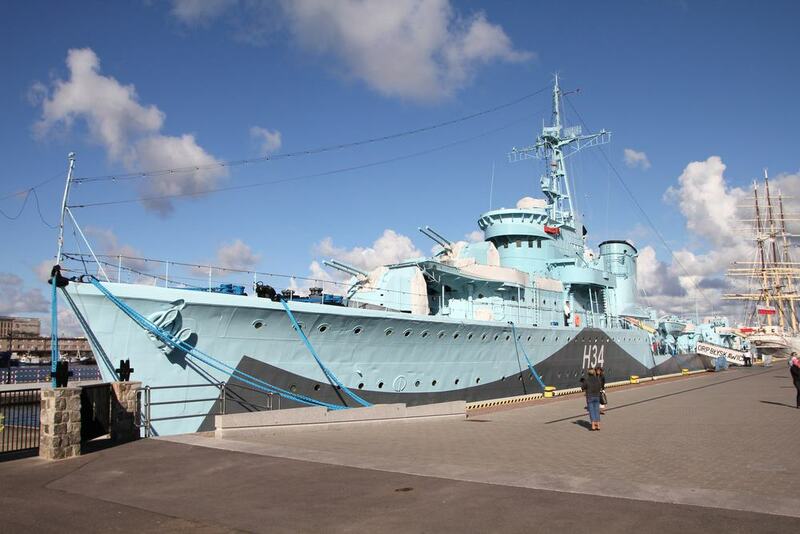 This museum has lots of artefacts detailing those early years, with archive photography documenting the construction of the port and then its destruction during the Second World War. There’s also a miscellany of documents from that time, like posters, driving licences, school certificates, passports, tickets, restaurant menus, maps and marriage certificates, shedding light on daily life in interwar Gdynia. At the time of writing there were two short term exhibitions, for the history of Gdynia’s Protestant community, and the photography of Tadeusz Wański who photographed the city’s architecture in the 1920s. Between Gdynia and Orłowo is a 118-hectare nature reserve created in 1938 to protect coastal beech forest and rare swathes of Swedish whitebeam. The park is within the city’s boundaries but civilisation will feel a long way away in this unspoiled woodland and by the sea on deserted beaches. 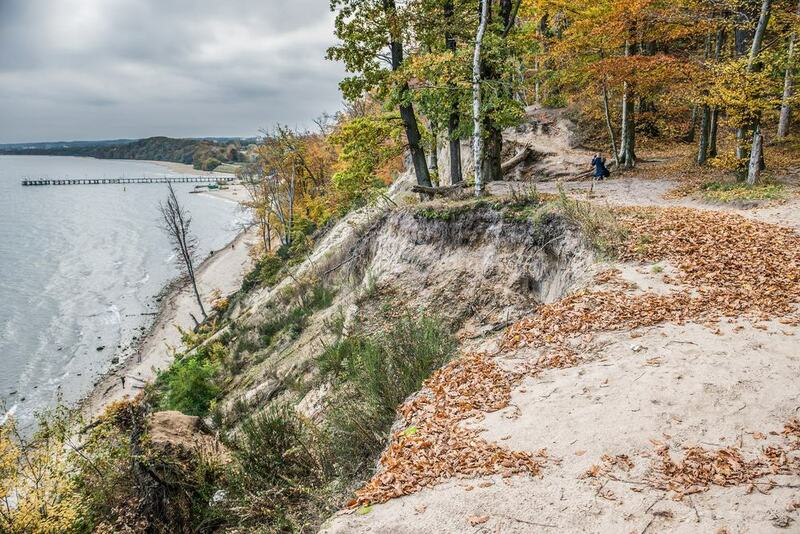 And if you want to make a day of it you could walk on a seafront trail all the way to Sopot. Things get very scenic at the park’s headland where the Orłowski Cliffs create a natural balcony for 650 metres. These are made from glacial sediment and climb above narrow beaches clustered with rocks. This eerie disused torpedo station is a sight for people interested in military installations, as well as those who see the beauty in dilapidated buildings. The station is inaccessible, a few hundred metres offshore, some ten kilometres north of Gdynia. 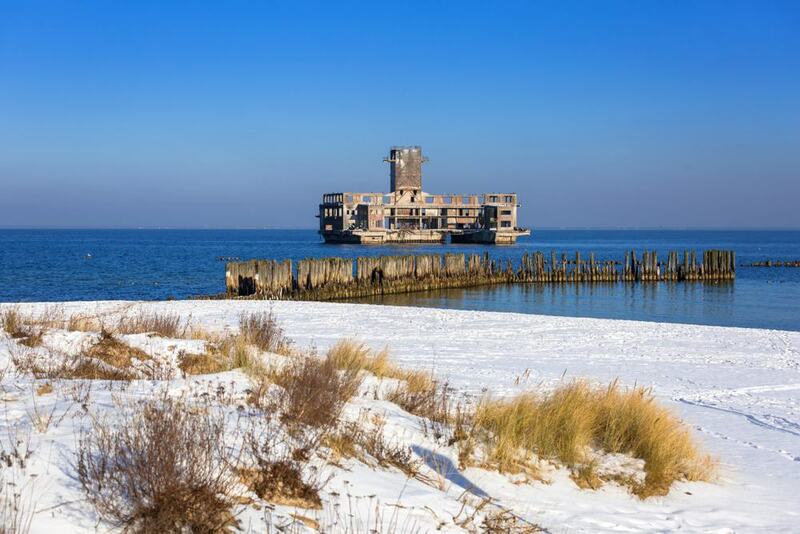 It was built as a research centre by the Wehrmacht at the start of the Second World War and back then was connected to the shore via a pier that was finally dismantled in the 1990s. Now the facility is a shell easily visible from the beach and being slowly taken apart by the sea and severe winters. 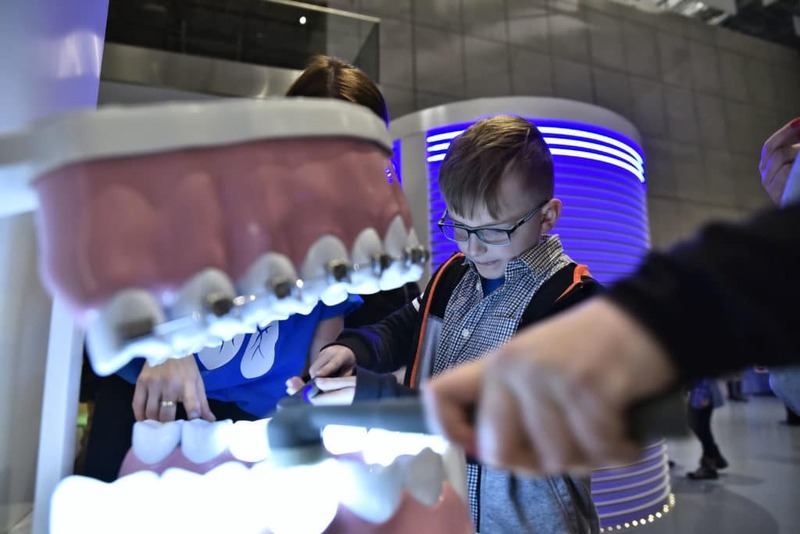 A joint initiative by the city and the Pomeranian Science and Technology Park, Centrum Nauki Experyment is one of Poland’s top interactive science museums. There are 200 interactive stations and learning is guided by a large team of enthusiastic attendants. One of the best bits is Hydroworld, where kids can get to grips with the basics of hydrological engineering, creating a whirlpool, building a sluice dam and an Archimedes screw. They can also perform surgery (virtual, thankfully), experiment with magnetism, experience an earthquake and find out how the human senses can be deceived with tricks and illusions. This immensely popular visitor attraction on the South Pier opened its doors in 1971 and is in a Modernist ferry terminal from 1938. 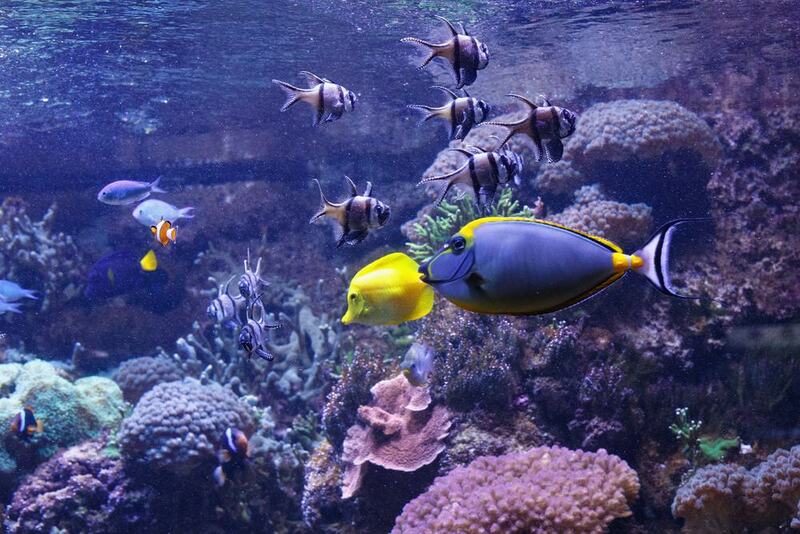 In aquarium’s tanks are some 215 species of fish, invertebrates, reptiles and amphibians, from Chinese turtles to garden eels, exhibited in more than 900 square metres. Among the variety of habitats are coral reef, the Baltic Sea, seagrass beds and the Amazon. The tanks are combined with static displays about oceanography and hydrobiology, and there’s also a movie theatre that opened in 2005 and screens underwater films. The Baltic Hall deserves special attention, on the top floor with great vistas over Gdańsk Bay.